Here at Latent Heat we are proud to supply and install Glow·Worm boilers. Glow·Worm have been producing reliable heating and energy sources for over 80 years and pride themselves on offering exceptional and durable energy solutions. Give us a call on 0131 445 1457 for expert advice on our range of boilers and a free quotation. There are 3 main types of boilers we supply. If you’re not sure about the type you require, one of our friendly team will do a free assessment on request. From the description above of the various boilers we have available assess which one would be right for you. If you’re not sure which one you require one of our friendly team will be happy to come and look at your system free of charge. We will generally give you a fixed price quotation for work to be carried out by our Gas safe registered engineers. Once you have accepted the quote, agree a date for the work to commence. You will find us neat and tidy and respectful in your home. 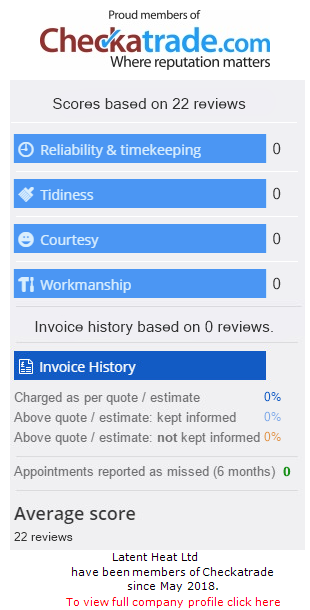 We will ask you on completion to rate us for check a trade, an independent organisation where you can leave reviews. You will have asked for either a 5, 7 or 10 year guarantee when you ordered your product. On completion of the work we will register your guarantee directly with the manufacturer bringing you the peace of mind. Once your boiler is installed we will register your guarantee with the manufacturer. All our Vaillant boilers come with a 10 year warranty to give you peace of mind that if anything goes wrong one of our expert team are at hand to help.